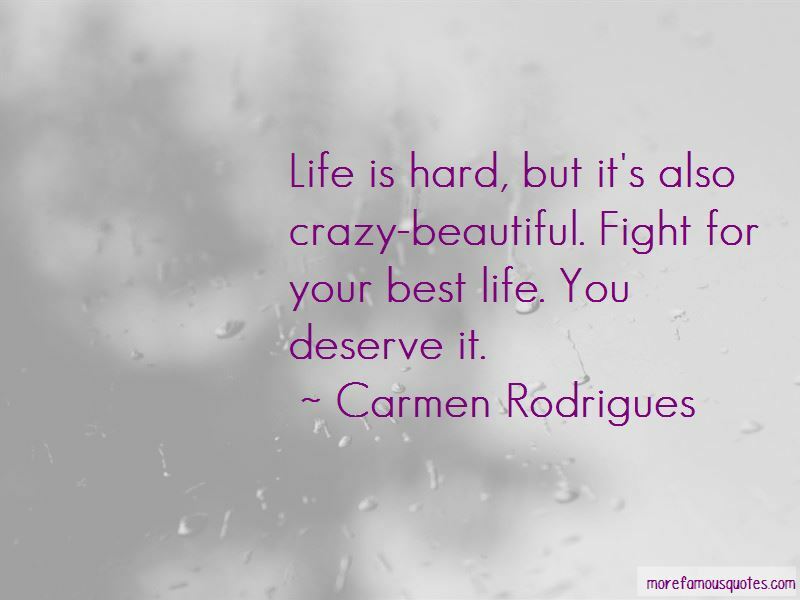 Enjoy the top 6 famous quotes, sayings and quotations by Carmen Rodrigues. Friendships are the most important thing you can have in your life. Sometimes they have their ups and downs. Sometimes it's your fault and sometimes it's not. But the key to handling those ups and downs is to remember that good friends will always find their way back to each other. 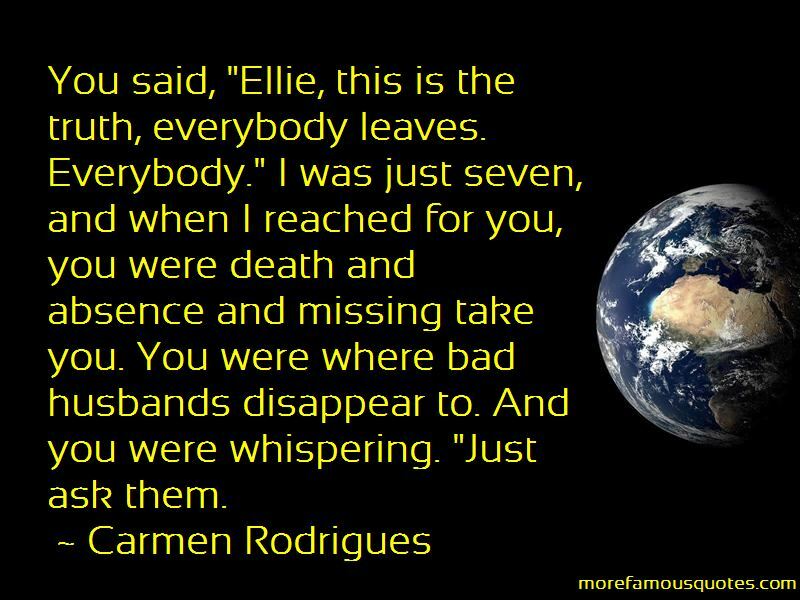 You said, "Ellie, this is the truth, everybody leaves. Everybody." I was just seven, and when I reached for you, you were death and absence and missing take you. You were where bad husbands disappear to. And you were whispering. "Just ask them. Mattie loves to read. Was born to read. I love to listen to Mattie read. The way her voice rises two octaves above everyone else's. The way the words collide-an endless train of sounds that doesn't require breath. 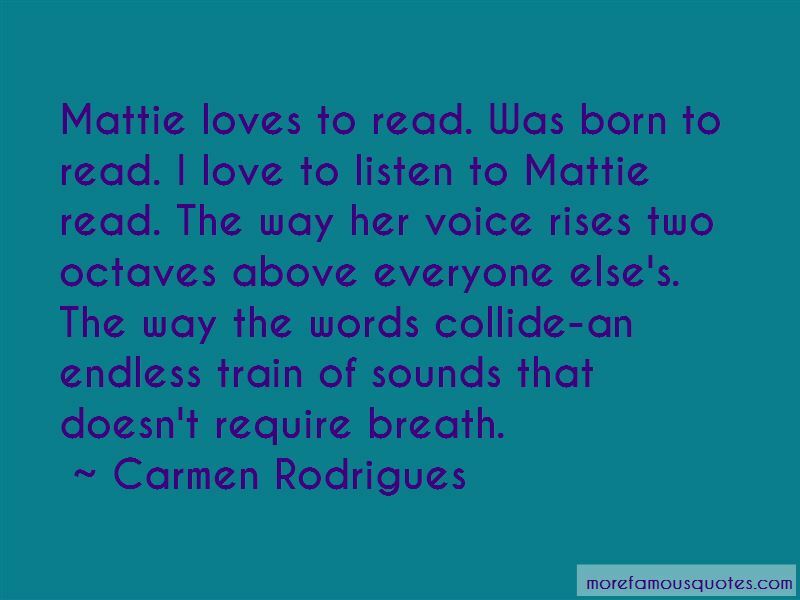 Want to see more pictures of Carmen Rodrigues quotes? 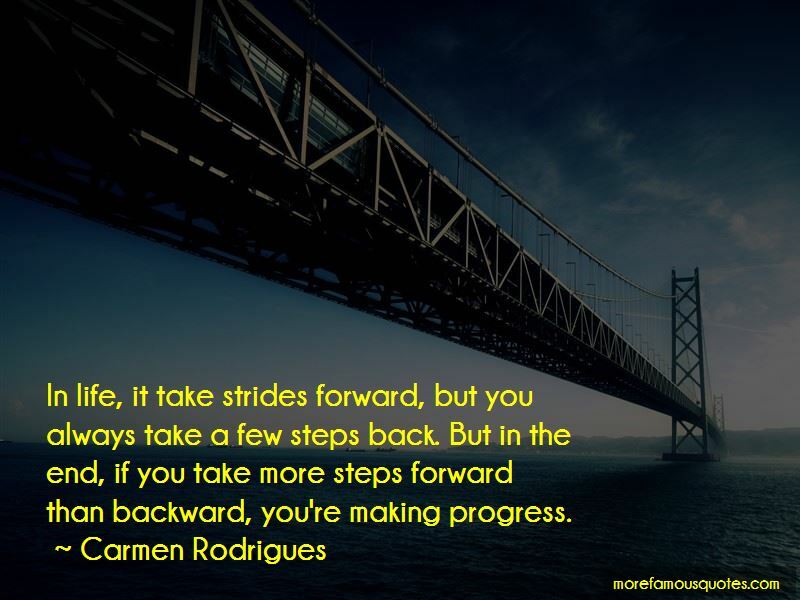 Click on image of Carmen Rodrigues quotes to view full size.